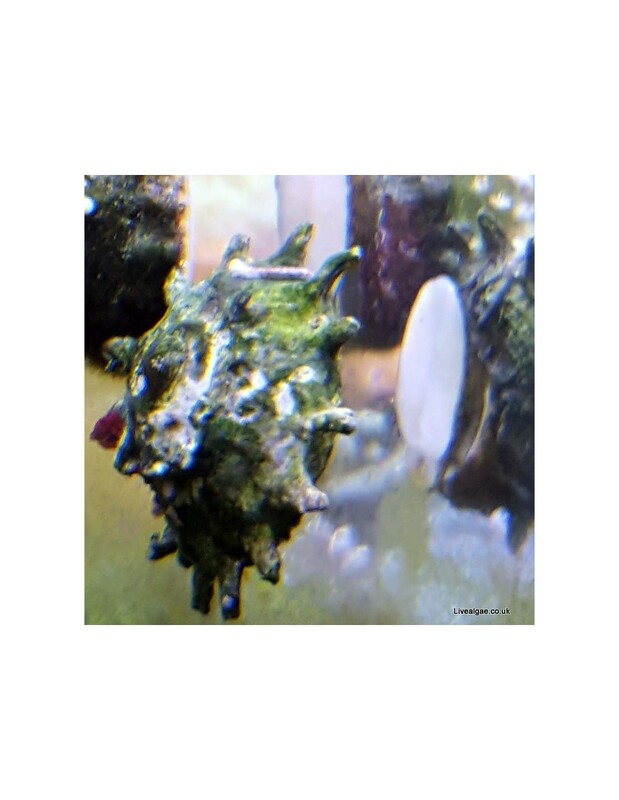 The Spiny Star Astrea Snail is known for is great appetite on nuisance micro algae. It will help to keep track especially on hair algae, diatoms and the cyanobacteria. This snail is a great addition to the cleanup crew and looks with its pyramid shape shell and its spines quire interesting. 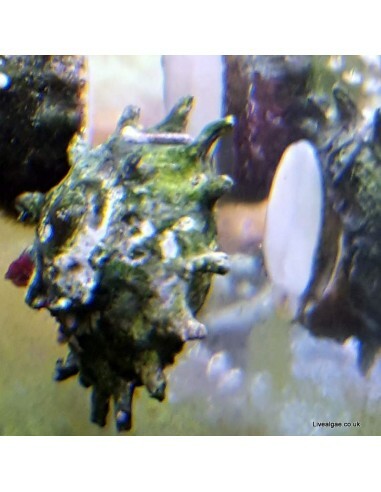 As good as this snail is to eat nuisance algae and to clean the glass of the aquarium it has problems to get itself back once it fell over or of the rock and will need your help. Like others snails it is very sensitive to copper-based medications and it doesn't like to high nitrate levels.